This can be found in the lobby of my place of employment. 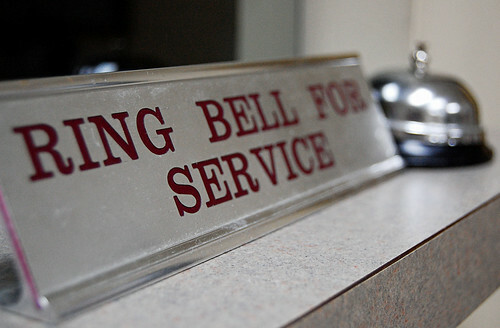 I ring that bell every time I leave at the end of the day. I think I might have a small slice of Obsessive Compulsive Disorder. AVL: You should add a bell and just see what people say. P: Thank you. Thank you very much.